Belmont University celebrated Dr. Martin Luther King, Jr. Day with a series of events as part of its 23rd annual MLK Commemorative Program, a campus-wide celebration of the life and work of Dr. King. All events were open to the campus community, as well as members of the Nashville community. This year, programming was focused on Dr. King’s belief in a sense of oneness – one nation, one people, one dream. The week’s activities began with a keynote address on Friday, January 18 delivered by Bishop Vashti Murphy McKenzie, the first female Bishop of the African Methodist Episcopal Church. Bishop McKenzie encouraged attendees to “take a stand” for a cause greater than themselves. The next day, Saturday, January 19, more than 500 students from Universities throughout the greater Nashville area, including Belmont, participated in this year’s MLK Day of Service, an opportunity to complete service projects alongside community partners. 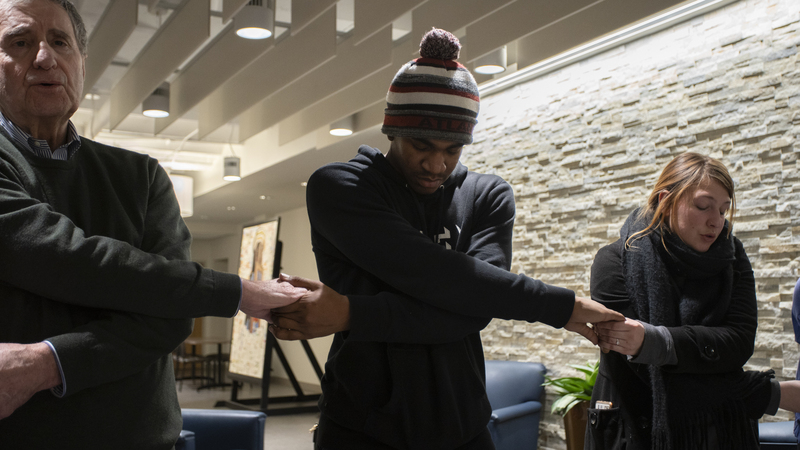 On Monday, the University hosted its annual Candlelight Vigil, a meaningful time of reflection on the observance of the day and its significance. In the days that followed, events were held that provided opportunities for participants to hear diverse perspectives on a variety of topics. Wednesday evening brought the Black Student Association’s Worship Service and an address by Dr. Susan West, vice president and chief of staff at Belmont.